Why do YOU smoke?? Is it in the need to feel Validated? Ok, I mentioned all of this to give you a picture of everything I have going against me if I choose to smoke. Stupid, right? I also have 2 beautiful daughters whom I love and worry about, incessantly. 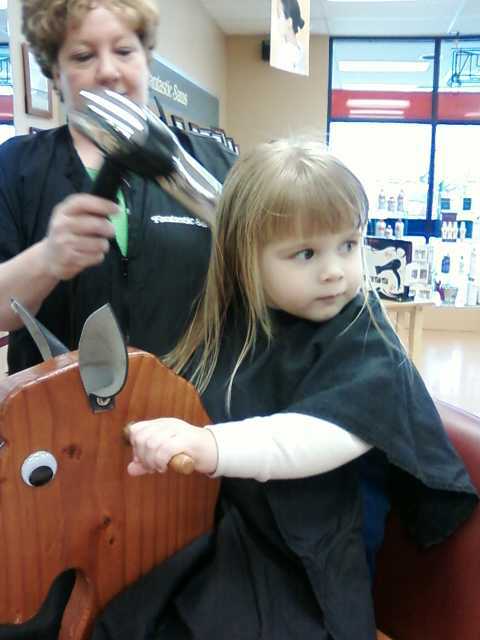 My Granddaughter when she was 2 1/2. My granddaughter is the sun to my darkest days. I am all she has, here, as a place that she can go when things are hard for her and/or her mom. Where would she be without me? I’m not strutting or showing off or what-have-you.. in spite of everything, I could ALWAYS sing. I would get comments like, “Where the hell did that come from? Your big toe?” I have always been a powerful singer, in relation to my size. 5’2″. My parents used to be able to pass me off as a little kid to get the discount at an area fair. What most didn’t know is how bad my lungs have ALWAYS been. I learned (I had to) to work and push myself while growing up, to move and “go” even when I was having problems breathing. My dad wouldn’t let me be still, especially in those times. I had to go to school, even if walking was excruciating. I had to get my outside work done, even if I could barely talk. If anyone knew the status of my lungs’ health, they would have asked me, “How are you able to sing?” I think the fact that I HAD to learn new ways of breathing to get my work done, and to be able to go to school, also helped me to be able to sing. I can’t describe how, I just learned the skill and put it into practice. It was a matter of survival at first, and then it turned into something I could pull out of my hat when I needed to or wanted to. It also helped me to keep singing. With all avenues against me, I still smoked. I smoked for years. On good days, 1/2 a pack. On really stressful days, two packs. Silently but progressively killing myself…and…I have been invalidating both my daughters, My grand daughter, as well as my Mother by ignoring their concerns. My mom has C.O.P.D. The doctors recently told her that she COULD have another 2 years left to live. Mom has to have surgery to remove a mass on her ovary. They are worried that she won’t be able to handle the anesthesia, and could die in surgery. That’s next month. She has a 50/50 chance to live just through the surgery. She wants to live. I want her to live, too. I don’t want her living the rest of her life, knowing that I, her only daughter, is slowly killing herself. My mom cried when I told her. I didn’t want to make her cry, but it’s wonderful knowing that in quitting, I made her very happy! I want to live, too. I tried EVERY known quit method, not including hypnosis. I couldn’t (or wouldn’t) drop the nasty little coffin-nails. So…now the story on the OTHER side of the picture. I recently found out WHY QUITTING SMOKING WAS SO DIFFICULT FOR ME! It was a result of all of the epiphanies and trying to learn about myself. I found the key for me, after I stopped smoking for a day and a half. My X-monster, in all of his attempts to destroy me, gave me the wherewithal to want and NEED to take a closer look at myself, from the inside. It was necessary to insure that I don’t have a repeat of the life I lived for over a year. This progression started with just one small sentence that another blogger wrote, “My feelings are valid.”. From the moment that I read that for the first time, it felt like I had been hit with a brick! “My feelings are valid”. I realized that throughout all of my life, no-one had taken the time to validate ME, to validate my worth and worst of all, I WAS TAUGHT TO NEVER ALLOW MYSELF TO BE VALIDATED BY OTHERS, later on. I lived my entire life as if my own existence was INVALID! I began mulling that statement around in my mind. I began repeating it, in order to understand. The rest happened almost naturally. I realized that VALIDATION IS THE KEY to get over my own hell with a pathological liar, with a purely EVIL person, with a PSYCHOPATH. My feelings ARE valid. I have been struggling with finding new boundaries and reaffirming old ones. The key to success there is in recognizing that in order to do so, you must understand completely and without a doubt…EXERCISING THOSE BOUNDARIES isn’t just because you need to for survival. It’s because you are WORTH IT! Now, here we are. I haven’t smoked since last Tuesday. I realized while doing my habitual analytical thinking, introspection/extrospection thing, that I was and am DONE WITH SMOKING, ENTIRELY. The real reason I smoked. The real reason that NOTHING I tried, worked… is that those nasty, smelly, life-changing, life-altering, life-destroying coffin nails were my only way to FEEL AND BE VALIDATED! Let me restate that: YOU are VALID…YOU are FREE to be who you want to be…free to demand that others respect YOUR boundaries. YOU ARE WORTH OF A WONDERFUL LIFE, JUST BECAUSE YOU ARE. I am valid without the cigarettes. I don’t have to smoke anymore. I still have the withdrawls, and I am NOT playing games with them. I am taking necessary steps to insure that I NEVER pick them up again. I won’t anyway.